Leading banks and capital markets firms require extreme performance as they start leveraging real-time analytics and machine learning for many strategic initiatives such as risk management, fraud detection, compliance, and consumer metrics. Simply having data is no longer enough, and traditional ways of thinking about analytics no longer apply. It has become critical to be able to gain insights from and act on extremely large datasets from traditional and non-traditional sources in real time, while – at the same time – to be able to reference older, stored data. GigaSpaces InsightEdge analyzes time-sensitive data in the moment, enriched with historical data, to help address these initiatives while driving business impact through efficient operations and enhanced customer experience. Deliberate and non-deliberate discrepancies create risks for the business. As the volume of data continues to grow, a simplified big data network design will help the organization scale and ensure availability. Guaranteed data integrity, fast data processing, and real-time advanced analytics power the insight driven organization to handle the speed and scalability required for the trade reconciliation process with reliability and accountability. This way, financial services organizations can reduce risk exposure and meet regulatory requirements while lowering operational costs. 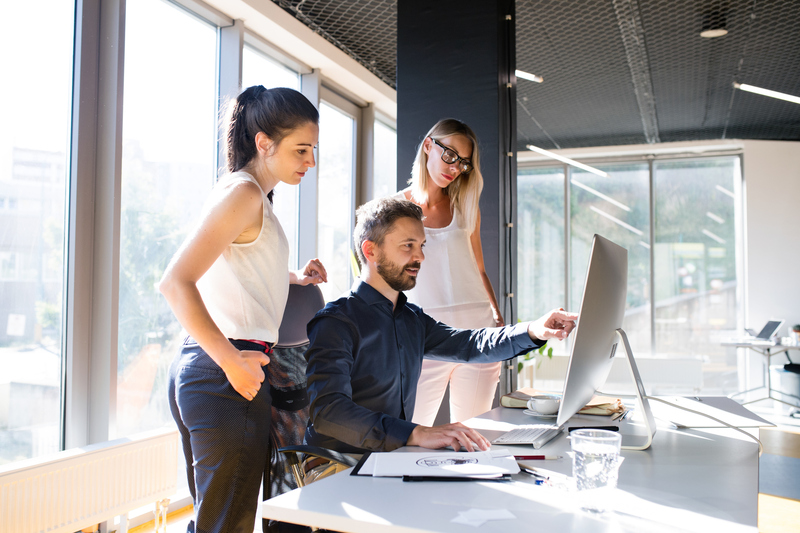 The financial services industry is undergoing a fundamental transformation from a product-centric to a customer-centric model, and in leveraging insight driven innovations, built on scalable, low-latency in-memory computing platforms. Yet, reducing the institution’s risk exposure and meeting regulatory requirements while lowering operational costs is still a key challenge. By aggregating and ingesting billions of messages in real-time into a live risk result store, organizations can power hundreds of applications at the speed of real time while maintaining transactional integrity. GigaSpaces InsightEdge unifies real-time analytics and AI with transactional processing to help firms evaluate the risk in their portfolio. Leveraging the combination of geo-spatial analysis and Monte Carlo simulations running directly against transactional data, and machine learning, financial services firms can run intra-day risk analysis and power their insight-driven transformation. Fraud detection is a billion-dollar challenge for the financial services industry, affecting consumers and banks alike. Deploying and running real-time analytics and machine learning on data as it is born, can help financial organizations detect and prevent money laundering and other fraudulent activities while eliminating the need to provision new data stores for fraud detection workflows. Preventing fraud for payments, trading, and deposits, more accurately and quickly, requires you to know where the customer is located and analysis of the customer’s historical data before the transaction is completed. Event-driven analytics trigger on-the-spot workflows to protect against fraud as it’s happening. Financial institutions can differentiate in a highly competitive market by providing a great customer experience, especially as customers become more knowledgeable and demanding. Knowing and understanding your customers’ sentiments, intentions and past activities are facilitated by ingesting real-time customer interaction data at high throughput and analyzing the data in the moment as it’s born. Enriching these insights with historical data, combined with sub-second response times, powers personalized customer services including opening new accounts, loan requests or instant payment execution – making your customers happy. In addition, deep learning and predictive analytics help identify chances of churn and manage up selling effectively. Learn how InsightEdge is being used by Financial and Insurance Services to become insight driven. This top 10 European banking and financial services company, active across Europe, the USA and Asia-Pacific, focuses on retail banking, corporate investments and global investments. This customer needed to be able to run a credit check in real-time before a trade with a counterpart occurs, in order to guarantee that the counterparty has enough limit to trade. With GigaSpaces’ in-memory real-time analytics platform leveraging the WAN Gateway, this customer was able to run “credit check solution” checks before a trade with a counterpart occurs, to guarantee that the counterparty has enough limit to trade. The solution also allowed for a worldwide deployment is done (Paris, NY and London) with GigaSpaces asynchronous replication between each site. All requests are executed via the GigaSpaces platform, and all reservations, limits and client are stored in the platform as well. This company is a leader in fraud prevention and risk management. They provide financial institutions and customers with fraud and risk management tools, facilitate a secure exchange between financial organizations and offer solutions for responding quickly to evolving fraud challenges. This customer was looking for a solution to detect fraud in real-time for mobile payments and check deposits. They required high-availability to assure 24X7 access for demanding customers. Reducing their current TCO was also a priority. 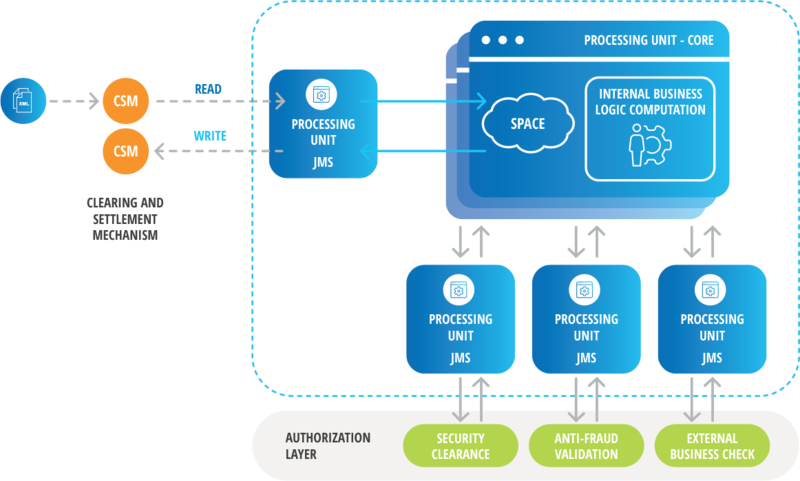 The GigaSpaces in-memory real-time analytics platform provides sub-second response for accurate fraud detection to stop the transaction before it is completed. The high-performance solution ingests 4 TB daily and handles over 1.5M events per second. TCO was reduced when introducing RAM and SSD, replacing expensive alternatives. No-Downtime is assured with a fault-tolerant, highly available, scaling on-demand solution. This financial institution is one of the top 10 largest global banks by assets and is a network of cooperative and mutual banks, with a customer-focus banking model. In line with regulations and their focus on a positive customer experience, this bank required an instant payment service to process payment transactions in real-time and ensure the highest levels of reliability. They also needed to assure to scale capacity ahead of demand and employ sophisticated analytics to help prevent fraud and identify actionable insights from the data they collect. With GigaSpaces’ in-memory real-time analytics platform, this customer was able to develop and deploy an instant payment solution that meets regulatory requirements on a global scale, handling thousands of payments/sec. Each payment transaction is executed in 500 milliseconds with end-to-end validation, including fraud analysis and others, within seconds. The solution meets mission-critical applications requirements such as high availability and fast recovery. Avanza Bank Holding is the largest online stock broker in Sweden with more than 600,000 customers and the largest number of deals on the Stockholm Stock Exchange. Avanza is one of the options open to private investors who want to play an active part in their investments and savings programmes. Avanza’s goal was to optimize its existing applications for maximum performance, as the core of their system became very tightly coupled application architecture, which proved to be difficult to change and extend with new functionalities. Avanza found it difficult to scale due to the inflexibility of legacy application and third-party tools. With GigaSpaces, Avanza achieved major performance improvement, increasing customer experience by 100X, from hours to seconds. This financial services company provides wealth management, asset management, and investment banking services for private, corporate, and institutional clients worldwide. They have trillions of invested assets and area leading provider of retail banking and commercial banking services, operating in more than 50 countries. This customer was looking to provide large-scale post-trade processing in real-time. They needed to enforce data quality and consistency along with simplifying integrations between network components for a Risk Result Store for Investment Banking supporting ~60 million events created per day supporting over 40 applications. The GigaSpaces in-memory real-time analytics platform provides the necessary high-throughput data ingestion and analytics; federating analytic queries across many data stores (IMDG, Oracle). The solution supports ~5M reported and reconciled trades per day; ~1M risk exceptions are assessed per day; and over 40 applications access and analyze this single source of truth. A top 10 European banking and financial services company, active across Europe, the USA and Asia-Pacific, who focuses on retail banking, corporate investments and global investments. This customer needed to calculate risks with extremely low latency (sub-second), and improve overall performance of hundreds of applications in multiple geographies. They were also searching to achieve ‘full’ automatization, consistency and resiliency and reduce manual intervention to the minimum. With GigaSpaces’ in-memory real-time analytics platform, this customer was able to achieve worldwide real-time platform deployed in Paris, New-York and Hong-Kong, access to data in < 1ms, and provide a single source of truth for hundreds of services, cache and web applications. The solution also allowed for high-availability and sub-millisecond performance for users across global sites, and provides a single source of truth for hundreds of services, cache and web applications.